At INTEGRIS Jim Thorpe Rehabilitation, your recovery comes first. The outpatient services program at INTEGRIS Jim Thorpe includes a comprehensive array of services provided by experts in the field of rehabilitation medicine. We serve patients with a variety of needs who don’t require inpatient care, but need expert attention for a variety of conditions including: orthopedic injuries, amputation, sports injuries, spine disorders, lymphedema, chronic pain, head trauma, stroke, multiple sclerosis, muscular dystrophy, speech disorders and more. Our therapists and patients talk about the outpatient rehab program below. To learn more, call 405-644-5200. Deanna Elias talks about the therapies patients often work through in order to achieve specific goals and objectives for the patients. 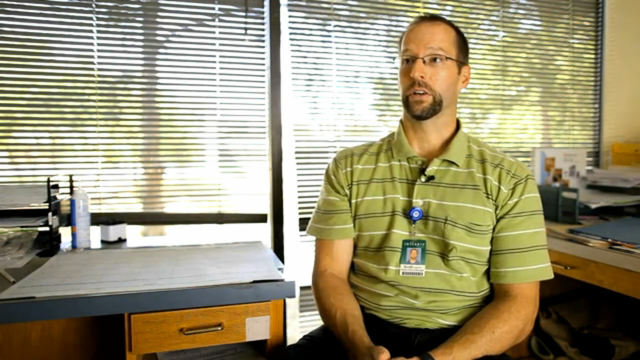 Scott Anthony describes the differences between inpatient and outpatient therapy. Amanda Johnson, wife of patient Kevin Johnson, explains her uneasiness about Kevin's return home.